Unlike the sedan-turned-convertible path of many droptops, Buick says the Cascada was developed from the start as a ragtop, which allowed for a stiffer structure. DETROIT -- General Motors will export a rebadged version of the Opel Cascada to the United States from Poland for GM's Buick brand. Opel said the move is another example of the two brands’ successful collaboration, which already includes the jointly-developed Buick Encore and Opel Mokka, the Buick Verano and Opel Astra notchback, as well as the Buick Regal and Opel Insignia. "We will continue to work closely with Buick in the coming years wherever it makes sense," Opel CEO Karl-Thomas Neumann said in a statement. 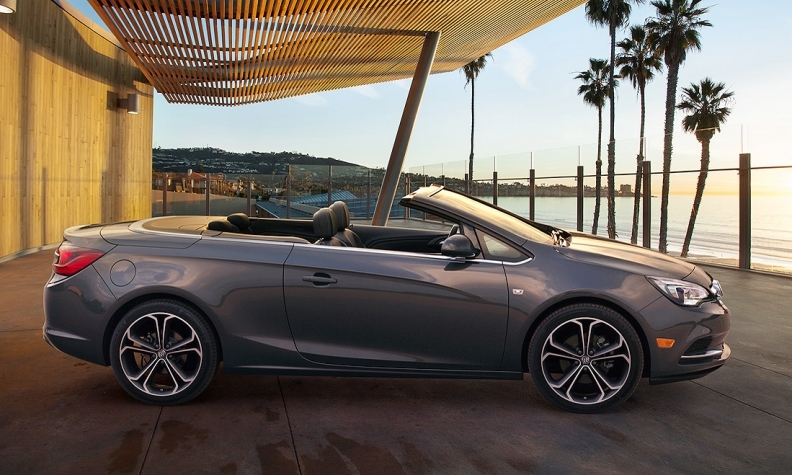 The Cascada, which is Spanish for “waterfall," is scheduled to go on sale in the U.S. early 2016. It’s slightly longer than the Verano compact sedan and uses a 2+2 layout. 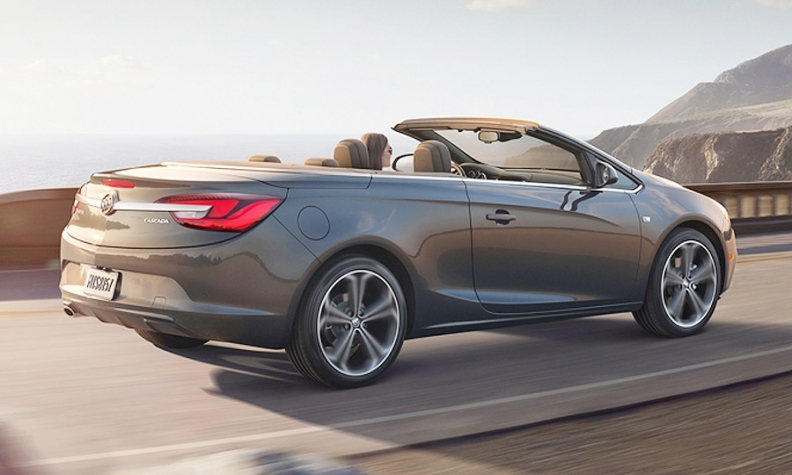 With the Cascada, Buick is getting its first convertible since the Reatta 25 years ago in an effort to inject some fun into a lineup that’s been rebuilt with a stable of core models. The car’s 1.6-liter turbocharged engine will produce 200 hp. Its soft top will retract in just 17 seconds, at speeds up to 31 mph, Buick said in a statement. 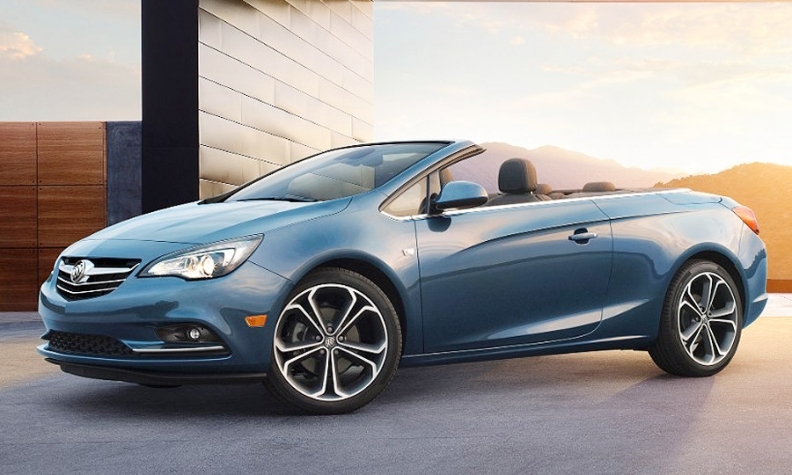 Although convertibles are a shrinking, low-volume segment in the U.S., the Cascada should help Buick add a dose of color to a lineup that has been rapidly expanded since the brand was nearly axed during GM’s spiral toward bankruptcy in 2009. Buick added the Verano compact in late 2011, followed by the Encore small crossover in early 2012. It’s widely expected to reveal at the show a midsize crossover, which would be slotted between the Encore and Enclave, giving Buick a three-sedan, three-crossover and convertible lineup. Buick is following the same playbook that it used for the Verano and Encore entries, “white space” models that launched without much competition from vehicles of similar size, content and price. U.S. sales of the Encore, for example, surged 53 percent last year, to 48,892, enjoying a two-year head start as competitors scrambled to get their entries into the hot market for small crossovers. “This convertible falls into more white space,” AutoPacific analyst Dave Sullivan said. “Buick will offer a product that doesn’t have much in the way of competition.” He added that the Cascada will give Buick “some unique flavor” with a vehicle that isn’t share by any of its U.S. sibling brands. GM executives have hinted in recent years that they planned to expand Buick’s portfolio beyond the core offerings that it shares with Chevrolet or GMC. “Something special for Buick, I think, is really needed for the next phase of where that brand is going,” GM product chief Mark Reuss, then the company’s president of North America, told Automotive News in 2013. Buick gained market share last year, despite no new vehicle entries. Sales rose 11 percent, to 228,963, for 1.4 percent market share.Buick considers the Audi A3, BMW 2 series and Lexus IS convertibles as the closest competitors, although analysts believe the Cascada will be priced lower than those entries, which start in the mid-to-upper $30,000s. Convertible sales have been shrinking relative to the broader U.S. light-vehicle market. The U.S. market share for convertibles, including roadsters, fell to 0.9 percent in 2014, from 1.7 percent in 2004, IHS Automotive data show. But IHS expects a rebound, to 1.2 percent, as continued economic improvement entices more buyers to consider fun rides, IHS analyst Stephanie Brinley said. The car has a windswept profile, with steeply raked A pillars. A distinctive crease runs along the side panels, over the door handle, for a high beltline. The soft top folds completely beneath a hard tonneau behind the rear seats, “giving the car a pure, open-air aesthetic,” Buick said. Unlike the sedan-turned-convertible path of many droptops, Buick says the car was developed from the start as a ragtop, which allowed for a stiffer structure. The engine produces an estimated 206 pounds-feet of torque, with an overboost feature that briefly increases it to 221. It’s paired to a six-speed automatic transmission. Twenty-inch wheels come standard. The car’s suspension system uses a version of the HiPer Strut front suspension used on the LaCrosse and Regal sedans. GM said it separates the spring and damper loads to the body structure to enhance ride and handling and isolate the impact on bumpy sections of road. A Watts Z-link rear suspension centers the axle during cornering and improves balance, GM said. It’s a lighter and more compact design than a fully independent suspension, which improves fuel efficiency and allows for more cargo space. Inside, the center stack features a 7-inch display for the Buick IntelliLink infotainment system. The instrument panel is wrapped in stitched soft leather. GM says the 2+2 configuration will offer comfortable room for four adults. Entry into the rear seat is eased by an electronic system that powers the front seats forward automatically by pushing the seatback forward. The rear seatbacks fold electronically to increase cargo room. Safety features include lane departure warning and “active rollover safety system,” which automatically deploys protection bars behind the rear seats if a potential rollover is detected.